Il Gelato del Marchese elevates the humble ice-cream to nobility. 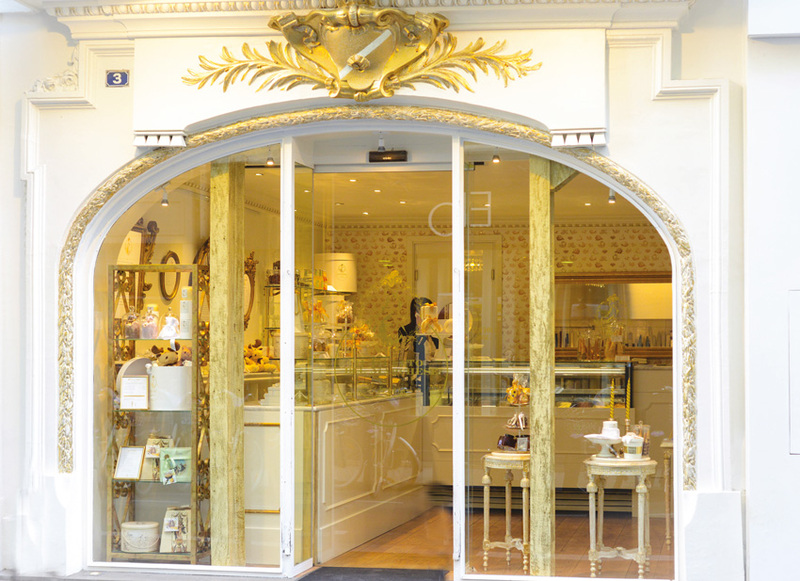 The owners, Véronika and Renato, aim to acquaint Parisians with the real Italian gelateria. Step through this superb glass storefront with its echoes of the gentle madness of Fornasetti, and enter a haven of white and gold. Adorned with Murano chandeliers and glorious old furniture hand-picked from the flea markets of Saint-Ouen by the mistress of the house, here ice-cream and luxury are perfect bedfellows. That’s partly thanks to Gianmaria Rosa who never jokes with quality. In his Cattabriga ice-cream maker – a brand name synonymous with top quality in gelato – he mixes the raw materials, milk, sugar and… that’s it! But that’s not before the considerable work of finding the perfect balance of tastes and textures. The product is the real king of this palace. Only the finest ingredients are selected, like the Iranian pistachios, roasted on the premises. The flavor that lingers in the mouth is incredible, like the Madagascan Vanilla, an utter delight! What’s more, these preservative-free sweet ice-creams each have their savory twin! Almond & Gorgonzola or Pine-nut & Parmesan, perfect for tasting at aperitif time. And as if things weren’t chic enough, you’ll soon be able to have these delicacies delivered, wrapped in gorgeous boxes and a satin pouch, right to your door by a butler! A true taste of the dolce vita in Paris. We love it!